When I called in to a Shell station in Reading on Saturday to fill up my car with fuel, I noticed this banner attached to the side of the pump I was using. “Fill up and go here with our speedy payment service,” it says. “Powered by PayPal.” And there’s a big QR code in the middle of the sign. 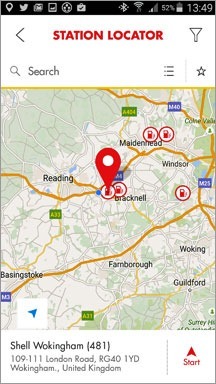 You’ll be able to use it through the Shell Motorist App. Select a pump on the forecourt, enter the maximum amount you wish to spend, then scan the QR code or punch in the ID number at your pump, all from inside your car. The App then releases the pump for use and you can then fill up and go. When you’ve finished, a receipt will be automatically sent to your phone. As it says, you use it with the Shell Motorist app for iOS or Android plus a PayPal account, the only payment method you can use. Shell says you can also use PayPal’s mobile app to pay for your fuel purchase. There is a transaction range: £20 minimum, up to £150 maximum (with the price of fuel these days, that maximum doesn’t seem too low). Shell announced this new service earlier this year, saying it was being tested and would roll out later in the year. Shell says it’s the first fuel retailer to offer such a service. across the UK. The Shell station in Reading where I saw the banner is one I use pretty regularly, with my last visit about ten days ago. So the sign has appeared within the past week. I’ve been using the Shell Motorist app for some time – to track loyalty points and see offers, etc – but hadn’t noticed reference to this new service until I looked for it. And the app does mention it, with the Shell station locator map for my immediate area showing a station not far from my house that is participating in it. So that’s my destination when I need to fill up again, probably within a week or so. I want to try it out, to see if it is a convenient and easy way to pay for fuel as Shell expects it to be. 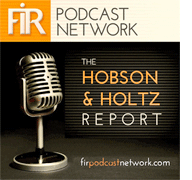 When it comes down to it, that’s what it has to be – convenient and easy – for it to gain consumer acceptance, especially when it comes to a technology like QR codes that you can’t say has had a warm reception, never mind gained universal consumer acceptance. Much of the criticism is about how QR codes are presented by those who implement them, often in ways that are simply lame or even mind boggling. But there are great examples of imagination alongside the mistakes (some of the latter potentially brand-damaging such as what happened to Heinz recently). 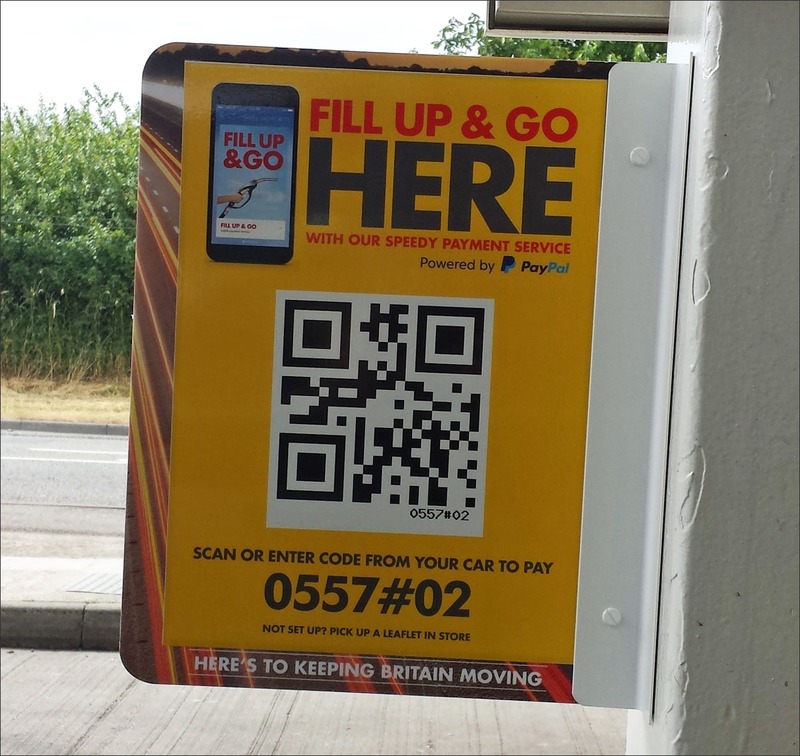 In the case of Shell’s QR code experiment, I think it’s imaginative and likely to appeal to people who want greater convenience and ease of use when performing a task as mundane as filling up your car with fuel. No more walking over to a cashier and offering a card for payment, or fiddling with a pay-at-the-pump card system (although I can’t recall seeing one of those at a Shell station) – with the new Shell service, you just complete the transaction with your smartphone whilst sitting comfortably in your car. Use of mobile devices is prohibited on most petrol station forecourts in the UK. But using this new Shell service should be dead easy from the driver’s seat. Then you get out of the car to fill your tank, get back in the car and drive away when done, with the payment receipt automatically sent to your phone. I wonder how it could evolve in future. 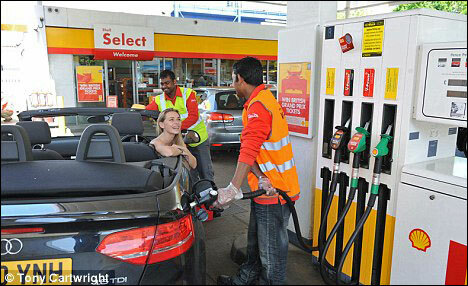 Maybe petrol stations could revert to the service ethic of yore when you had someone who came out to fill your tank while you stayed in your car. You’d add perhaps 10 percent to the cost as a service charge. A small price to pay for the convenience and comfort. Could be quite a service differentiator. Perhaps something along the lines of what Shell reportedly started offering a few years ago. But first things first. I’m looking forward to trying it and adding it to my list of imaginative uses of QR codes, not to the lame list.